Once again, we have the obligatory blog post about what you need to do at this year’s ALA Annual Conference. If you want more information you can check out the official ALATT party list from Lauren Bradley and my partner Jp Porcaro already put together his list of things to do at ALA so check that out too. You should also just come and party with me and JP all over this town. We’re gonna have a really great time like we always do. We’re also doing tons of interviews with awesome librarians (again, like we always do) so come out and hang out with us! I’m excited about this year because we have the return of some great programs and events that started last year and we have some longer running programs and events that just keep getting better! So, if you’re wondering what you should absolutely go do at the conference, here they are! For all you early birds who Made It Happen and want to start out the conference with the party, this is your opportunity to come and party with the folks of the ALA Think Tank. Basically, it’s our bi-annual face-to-face meeting at the conference where we can have some drinks without having to post them to the FB page. This is the bi-annual public meeting of the first and only national political action committee for libraries. One of the biggest and most important things to happen to effect library funding and campaigning on behalf of libraries. Come hear what we’re working on across the country for libraries at the ballot box. Come and see the outstanding projects that the future leaders of our profession have been working on all year. You’re sure to see something great! Every afternoon Saturday, Sunday, and Monday from 11:30-12 JP and I are hosting the Ignite sessions at ALA. These are great five minute presentations that will inspire and engage you. Join us to celebrate or commiserate the election of Caucus members Erica Findley, Mel Gooch, Martin Garnar, and Coral Sheldon-Hess to Council, Kate Kosturski to two other ALA offices, and commiserate over everything else. This is the highest voted session of the conversation starters! What does it mean to lead and be recognized as a leader in the library profession? And what exactly is a rockstar librarian, anyway? This session will spark an exchange of ideas about what it means to stand out- and be outstanding- in the library field. A panel of motivated librarians who have participated in California’s Eureka! Leadership Program and/or the ALA Emerging Leaders Program will share their innovative paths to leadership, including strategies for being a leader in any position, taking risks, and balancing personal and professional priorities. 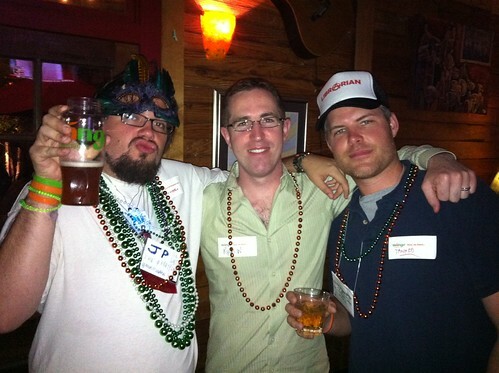 These tweetups have been going on 8 years? 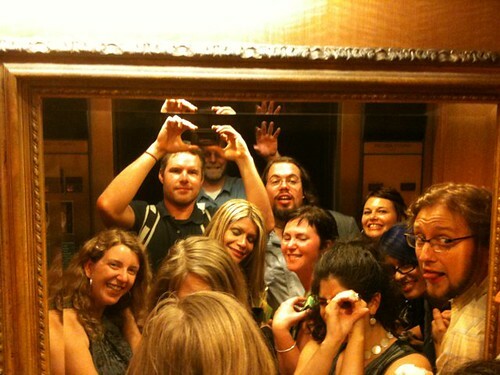 Man… I remember my first tweetup. This is your chance to meet your twitter friends IRL. I don’t have the details on this one but its 7-9pm somewhere in Chicago. Its where the cool kids are or so I’m told. 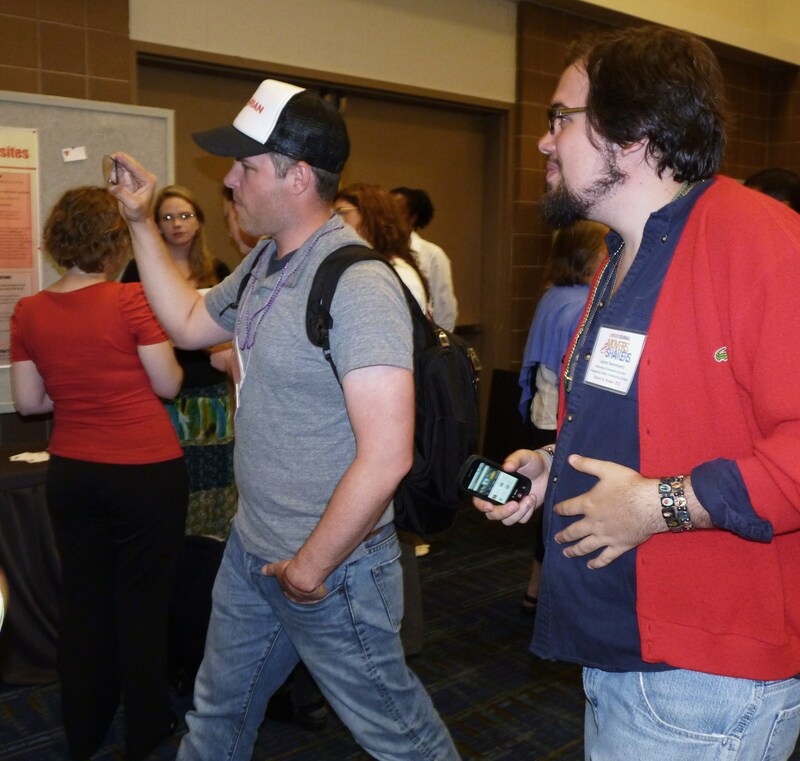 Bigger and better than a no-show celebrity rap party bar fight, ALATT After Hours is THE place to meet, greet, and strut your stuff at #ala2013. Hosted by Librarian Wardrobe and EveryLibrary on Saturday June 29th from 9pm – 2am at the Blue Frog’s “Local 22” at 22 E. Hubbard St. Chicago, IL 60611. Bring some cash and help fund political action for libraries. Bring your sass and show off your best dressed for fun and prizes. Join the ALA LibraryLab Member Interest Group business meeting to learn how you can get involved in any of our projects. Find out more about us at http://connect.ala.org/librarylab. Come mix with the membership of the GLBT Round Table. $5.00 recommended donation accepted at the door. This is the event that made the California Library Conference worth attending. The burlesque dancers are amazing and… Not to give it away… One girl does this thing with a book scanner… You gotta come! Come and visit me at ALA Council. I’ll be real bored and want to talk to someone. But, if you come, I’ll probably ask you to run for council too. Who will reign supreme in the 4th Battledecks competition at ALA annual? This year we will feature two rounds by having the first ever tournament of champions precede the regular battle. Who will become the Grand Pooba of Battledecks by winning the tournament of champions? Who will come out on top during the battle and win fame and glory? This is truly going to be a highlight of your conference experience as these courageous individuals compete for the honor of being crowned the next champs of the deck. The NYC-based Que(e)ry is Chicago-bound for the American Library Association Annual Conference, and the library is open late for this dance party for queer librarians and those who love them, co-hosted by Chances Dances. Que(e)ry will feature DJs from Chances Dances, along with queer go-go dancers and a Librarian Realness Contest, with a live performance by Chicago-based queer rapper Big Dipper. Proceeds will benefit the Leather Archives and Museum and the Critical Fierceness Grant. Have authors in your library for #MaykerMondays! Hey librarians! Do you want some authors to come take part in your MaykerMonday events? 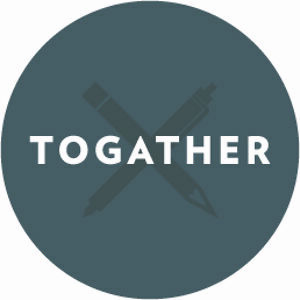 We have a partnership with Togather to get authors interested in maker spaces into your libraries. Take a look at the details below and contact the amazing Dana Skirut for more details and questions. Togather is a free marketing tool that enables librarians to engage local communities with more great in-person experiences. Library events are an important way to connect and build relationships with new audiences, but turnout is hard to predict. Too often the programming doesn’t find demand, and valuable resources go to waste. Togather helps change this dynamic by making it easier to collaborate with local interest groups to plan more well-attended events. With Togather, libraries can leverage their strengths in research and curation to create enriching events that drive buzz about their services and bring in more patrons. Access to authors: Togather has over 500+ authors on board, with some makers listed below. Have an author that you’re interested in, but not sure how to get in touch? They’ll do their best to make the connection! Ideas for events: Not sure of the format for your event? Depending on your space, they can brainstorm some ideas for how to make the most of your class, talk or workshop — whether it’s in-person or the author is joining via Skype. Custom event pages: Togather allows you to create a custom event page with plenty of sharing features to make it easier to promote your event. They’ll help set it up, and also provide a home for your library showing all upcoming Togather events. All-or-nothing model: Not sure if people will want to attend? Set up a Togather event with an author and define a minimum attendance goal (e.g. 15 participants). Ask people to RSVP in advance to show their support. If there isn’t enough demand by a certain date, you won’t have to host an event for just two participants. Raise funds: If your local Friends of the Library organization is involved, Togather can help you raise funds by making it easy to sell affordable tickets to your event. Kelly Rand, author of Handmade to Sell, which is full of useful business advice for those looking to make the leap into full time crafting, or wanting to expand into other areas of the indie marketplace. Jeni Britton Bauer, author of Jeni’s Splendid Ice Creams at Home, an essential resource for making delicious and uniquely flavored ice creams, yogurts, and sorbets in your own kitchen. Lori Sandler, author of the Divvies Bakery Cookbook, which features recipes for vegan treats that are sensitive to those suffering from major food allergies. 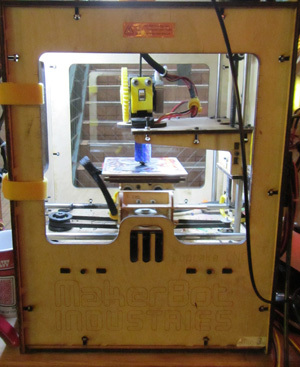 Recently a lot of libraries have been developing ideas and spaces around the maker movement and the maker culture. We have seen a giant leap in libraries as spaces for makers to make and for the Do It Yourself (DIY) community to come together and learn. Of course, libraries have always provided the knowledge for these kinds of things through our print and digital collections, but now we are seeing an emergence of libraries giving dedicated space, programming, and occasionally the tools to help our communities make it happen. One of the big complaints that I’ve heard from librarians is that they don’t know anything about maker spaces or communities or programming. I have to say that this is almost entirely untrue. I am not at all involved in the maker movement or the community and I only just recently realized how many maker programs my library does. For example, how many of us do programs with our kids and teens making duct tape wallets? What about jewelry? How about almost any kind of craft project? These are all maker projects although we don’t think of them that way. While maker programs like these are not about computers and technology, there are a lot of programs that you can do that are. Some examples of those things are Jason Griffey’s Library Box, renting or buying a 3D Printer, utilizing Arduino, and something as simple as taking electronic devices apart. 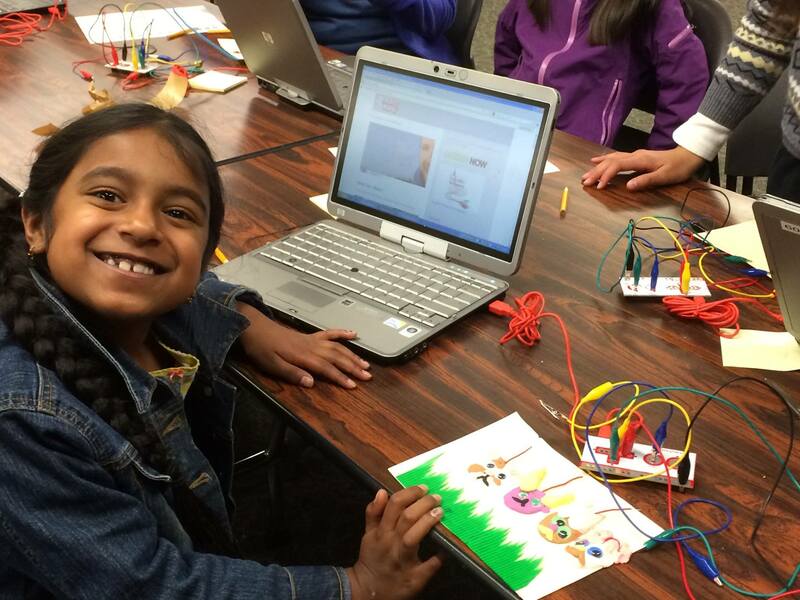 There are tons of cheap and easy things that libraries can do to take part in the electronic/tech part of the maker movement. In order to help us come up with some great resources for library maker programs, I created this google doc called the Maker Cookbook that you can contribute too if you have some maker ideas of your own or need something to help you come up with new ideas. Another problem is that we need to come together around the Maker Movement and give it a good try. In order to move that conversation along and get people motivated and into the maker movement, we presented an idea at the ALA Midwinter Conference. This idea stemmed from the Library Lab (library Boing Boing) group and became #MAYkerMonday. We’d love to have more people participate! Read the details below and click this link to the FB page to let people know that your library will participate. #MAYkerMonday will be held nationwide in libraries throughout May on every Monday. The idea is to encourage librarians to host a program for the maker community on every Monday in May. This is will be a way for libraries to show that they are participating in the maker movement and for librarians to try out some maker activities that they may not have tried before. It’s also a great way to introduce your staff to the make movement if they seem skeptical. By doing these programs, hosting a maker meetup, or maybe staff training around maker spaces for your staff each Monday in May and by using the hashtag #MAYkerMonday libraries can promote the idea that they are community spaces for creativity and learning. Sign up and join in the fun! As part of this, we would also love for our blogging, Tumblr, Twitter, and other posting communities to use the #MAYkerMonday hashtag to promote the maker movement in libraries on every Monday in May. This should be easy because for most libraries there are only three open Mondays in May. The fourth and the last #MAYkerMonday will be a great opportunity for librarians to use their day off to do their own maker project and join in the fun! For all you folks who Made it Happen and came to ALAMW13 on Thursday night, this event is for you. This is the ALA Think Tank meetup and social event to start out the conference right. Come out to Linda’s Tavern at 7pm and have a drink and meet other folks from the ALA Think Tank live and in person and some of the Seattle Natives at this neighborhood dive bar. LITA is always one of the best networking opportunities at ALA. It’s happening at the Elephant and Castle from 5:30-7:30. The librarians involved in LITA are doing some of the most exciting and innovative work in library technology. You probably read their blogs or follow them on twitter or you might have read their books! Come out and meet all these fines folks in person. This is a great opportunity to join Emerging Leaders past and present at the Emerging Leaders Meetup at the Elephant and Castle from 8-10pm right after the LITA. This is an excellent opportunity to network with other ELers who are emerging, have emerged, or will emerge eventually. If you haven’t been an emerging leader and you’re interested in learning more about this program, or if you want to just come and have some drinks with some excellent librarians, you are also welcome to join us. What is Tumblr? Do you Tumbl? No, I don’t get on it much neither and I don’t actually know a whole lot about it. I do know that a lot of awesome people are on Tumblr and I want to meet them all. If you want to meet all the Tumblarians IRL then you should come to this event. If you are a fan of BoingBoing.net you should come to a meeting that showcases the ALA and Librarianship’s involvement in this great blog. You can meet fellow Happy-Mutants, get involved in building up this group of librarians, and hear about great things in libraries around the world who are doing wonderful things and popular culture-related issues (such as net neutrality, steampunk, etc. ), as well as makerspaces and digital learning labs. We guarantee you’ll hear about at least one great project another library is implementing that will inspire you. This meeting happens early on Saturday at 8:30am so get ready! This year at Midwinter, the ALA Think Tank is excited to announce the first ever Ignite ALA! It will be held in the Networking Uncommons from 12-1 on Saturday. If you’re not familiar with Ignite, Ignite is a geek event that is being held in over 100 cities worldwide. At the events Ignite presenters share their personal and professional passions, using 20 slides that auto-advance every 15 seconds for a total of just five minutes. Many of these presentations are recorded live and broadcast or archived to be shared around the world. This will be ALA’s first ever attempt to Ignite our passions for our profession!! If you are a new member to the ALA or this is one of your first conferences, I know it can be overwhelming. The New Member Round Table is here to help you out. This social event at the Dragon Fish Café from 5:30-7:30 will help you find out more about the organization and meet some great people. This year’s tweetup will happen directly in-between the NMRT Social at 5:30 and the EveryLibrary/librarianwardrobe.com After-hours party at 10pm at the Baltic Room. Come and hang out with other Twitter folks and have a drink and maybe dance a little. This is one of the most entertaining nights of the conference when everyone comes together and has a good time. You have a great opportunity to meet a lot of fun people who are just out to have a good time. This event is brought to you by EveryLibrary and Library Wardobe at 10pm at Linda’s Tavern. Young Turks Unite! is an anti-reception for the critical thinkers, the up-and-comers, and the true movers and shakers (LJ ratings do not apply) of the library world at the Diller Room at 9pm on Sunday. If you have a fire in your heart and want to shake up the universe of what we call librarianship, you are invited to join a group of like-minded, passionate professionals for an evening of conversation, provocation, and perhaps even revolution. Maker Monday is an exciting day filled with all kinds of events and activities to help you get informed and involved in the latest from the makerspace movement in librarianship. It also provides a chance for successful programs to share their stories and for librarians to meet fellow makers. As a Board Member of EveryLibrary, I highly encourage you all to attend our first Board Meeting. If you’re not familiar with EveryLibrary, “it is the first and only national organization dedicated exclusively to political action at a local level to create, renew, and protect public funding for libraries of all types. We provide tactical and operational support to local voter awareness campaigns, seed and sustaining monies to local ballot committees and PACs, as well as conduct direct voter advocacy in support of library taxing, bonding, and referendum.” Basically, its the very first library PAC! I do have to plug ALA Council too. Even if you’re not officially on Council, you should remember that ALA is a member driven organization. If you want to see who’s driving, you should come to council and watch how it works. You can see memorial resolutions, dues increases, and a variety of other issues being discussed. I promise that only half of the councilors will try to talk you into running for council. I know that Aaron Dobbs would say that everyone should go to this so I’ll say it too. The Council Forum is the behind the scenes and nitty-gritty of ALA Council. This is where a lot of the real debate and the real compromise happens. If you really want to see what makes ALA Council run, you should check this out. It would be absolutely amazing to not just have ALA councilors here so that they hear some voices of reason! Come in a speak your mind. That’s my list of stuff that I’m inviting you to join me at. What are you doing? This year at Midwinter, the ALA Think Tank is excited to announce the first ever Ignite ALA! If you’re not familiar with Ignite, Ignite is a geek event that is being held in over 100 cities worldwide. At the events Ignite presenters share their personal and professional passions, using 20 slides that auto-advance every 15 seconds for a total of just five minutes. Many of these presentations are recorded live and broadcast or archived to be shared around the world. This will be ALA’s first ever attempt to Ignite our passions for our profession!! We are looking for around 8-10 presenters on any number of topics. These topics can be library related, or just something that you are passionate about. Maybe you have a presentation that you already gave, one that you are working on, or something that wasn’t accepted for a full ALA Session? This is your shot to debut the most radical or passionate idea you have and Ignite your passion in the rest of our profession! If you think you have what it takes, all you need to do is leave a comment below with your name and topic. Then, put together your deck of 20 slides that advance every 15 seconds and start practicing. The Ignite session will be held in the Networking Uncommons on Saturday at Noon at ALA Midwinter. The Biggest Thing to Happen to Library Advocacy EVAR!! Unless you’ve been under a rock the last month or so, you’ve heard about EveryLibrary. This is probably one of the most exciting developments in library advocacy since Andy Woodworth got the Old Spice guy to talk about libraries. EveryLibrary is a PAC (Political Action Committee) that functions to support library initiatives at the ballot box. In case you don’t know what a PAC is or the larger Super PAC, you can watch Stephen Colbert brilliantly explain it on the Colbert Report and the Daily Show. If that’s not your thing, here is a video that explains them. 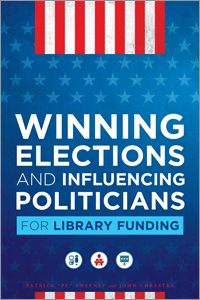 Basically, what this means for us librarians is that we can now have the power of presidential election kind of money and resources behind our ballot initiatives for our libraries. Can you imagine what would happen if we raised millions of dollars for our campaigns like the Presidential Super PACs do for theirs? We would most likely never have to worry about another underfunded library again. You might ask yourself though… Why doesn’t ALA do this? Or doesn’t ALA already do this kind of lobbying? Well, the short answer is no, they can’t and because I’m not smart enough to explain it all myself, I copied the information from the EveryLibrary website below to explain it. 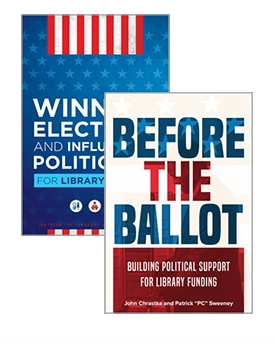 EveryLibrary grew out of the need for a politically active organization dedicated exclusively to supporting local library initiatives at the ballot box. Many library associations – both at the national and state level – are organized as 501(c)3 educational associations. Current law and regulations prohibit these associations from engaging in direct voter advocacy or funding political campaigns. As a 501(c)4 organization, EveryLibrary can act where these associations cannot. The opportunity to fundraise and directly support library ballot initiatives will be unique in the library world. In each election cycle, tens of millions of dollars are at stake for libraries. From bonding for new or remodeled building projects to changing milliages, levys, or tax rates that impact staffing, collections, programs, and services, libraries are on the ballot. EveryLibrary needs just 50K to Make It Happen, they need our help! Assist libraries in both the pre-filing and campaign stages of an initiative. Provide strategic consulting services, voter segmentation advice, and assistance in developing ballot language. Conduct feasibility studies and assist in setting up a local committee or PAC. Develop a fundraising strategy for your local committee or PAC. Train volunteers in voter education and get-out-the-vote techniques. Continue technical and capacity-building consultancy. Provide direct financial support to the local committee or PAC in seed-stage or sustaining levels of support. Conduct direct voter education and get-out-the-vote efforts. So what can you do to help out? There are a lot of things, but really, EveryLibrary needs to raise 50k to start the PAC and start helping libraries by November. This is the most important thing you can do right now. Give $5.00 if you can. Give more if you can do that! Share the links with your friends if you can’t give money. Ask your friends and family to give or maybe host a fundraiser. Remember that politicians who oppose libraries are raising MILLIONS of dollars. EveryLibrary is just asking for 50K. We have the power to make this happen. You can hear the Founder of the Library PAC, John Chrastka, talk about EveryLibrary with Steve Thomas on his podcast via the link below. Bonus Tip– I also recommend running for ALA Council for the bitching rights but that happens in Midwinter. For Annual you can sit in a Council meeting and see what happens there. I’ll be there so don’t be afraid to come up and say hi! My favorite thing to do at ALA is meet people. The people that we work with in the profession are absolutely amazing! There are so many great people doing such fantastic things that I love to talk to as many people as I can about whatever they’re passionate about at the moment. I actually learn far more from these conversations than I do at a lot of the programs and I also have a large network of friends and mentors that I can rely on for whatever questions I might have or inspiration that I might need. The biggest problem is remembering everyone’s name (hi Veronica!) but that’s something that I’m working on. Just as a step beyond meeting everyone, it’s very important that you practice your social skills at ALA. This was the hardest thing for me to learn because I was a pretty intense introvert for most of my life but it’s something I’ve worked to get over while at conferences especially. Remember, this is the largest gathering of people in your profession in the world and you should be taking advantage. This isn’t the time to hide in your hotel room, eat or drink alone, or otherwise have any kind of anti-social tic whatsoever. So don’t be shy. If you’re eating lunch, ask strangers to join you, if you’re in an elevator talk to the people around you, if you go to a program talk to be people sitting next to you, and if you hear about a meetup or tweetup or dance party then you should go! You can find out about many of these opportunities on Twitter or on the conference scheduler. This is probably the hardest part and the one thing that made ALA better for me. When you’re out and about and being social you should try to get in with a group of people that you think you might like. At my first awesome ALA experience I was running around with some great folks from Reforma (I’m not even a member). After that I started meeting more and more people and now I have a really cool groups of folks that started by renting a house together for conferences instead of a hotel by myself. Find a totebag, put stuff in it. You can use the hashtag #alafree if you want to let other people know about it. Besides totebags and more books than you can carry there is always a ton of free food and drinks all over the conference. There is no reason to go hungry or spend money on food or drinks. Once again, you can find out a lot about where and when this happens on Twitter and the Scheduler. You will walk. You will walk A WHOLE LOT. Be prepared for that. I see a lot of folks wearing some pretty nice clothes that look like they would be a pain to wear. Wear something comfortable and especially wear comfortable shoes. If you want to get an idea about what to wear to ALA then you should check out the Librarian Wardrobe Tumblr and see what other folks wear to conferences. Bobbi also wrote a great blog post with some tips for packing this stuff too. There are so many parties and opportunities to celebrate our profession and get away from all the doom and gloom and end of time prophecies that we keep hearing. You should take advantage of them. We get to work in the best damn job in the world so this is a great opportunity to celebrate that fact. Be positive, enthusiastic, fun, excited, passionate, and everything else that comes with a good party mentality. You are responsible for your ALA experience. If you think that the conference needs a dance party then make one happen, if you think it needs an unconference then make one happen, if you think it needs a QR code hunt then make one happen. There are so many opportunities to make something happen that you want to see at ALA that it’s ridiculous. So I’m telling you, don’t complain about there not being something that you want there (I won’t listen), you can make that something happen if you really want it. Governor Brown’s Proposed Budget for FY 12/13 has no money for public libraries. We’re asking the State Legislature to restore $15.2 million in funding. Be sure to add what the impact on your community is of losing all state funds for libraries and the double whammy of losing federal funds because of lacking the required matching funds. Act today – You can make a Difference and Save State Funding for Public Libraries!